Home technology is amazing, almost magical. And it’s only getting better. 25% of Americans live in a smart home, and that number is only expected to increase. Here are eight futuristic home tech trends to watch in 2017 and beyond. The war between Google and Amazon for control of your living room is heating up. Amazon got off to a quick head start, believing in smart home devices before their biggest rivals. However, Google has deep pockets, and they’ve made ferocious efforts to catch up to Amazon. 2018 is the year they may close the gap. Interestingly enough, Amazon is counterpunching in a lamentable, perhaps even unprincipled, way. They are refusing to sell Google Nest devices on Amazon.com. Google is no better, blocking access to YouTube on Kindle Fire devices. This has similarities to an unprofitable trade war. Who wins, and will it escalate further? The iPhone X may not be the smashing success the previous models were, but it’s certainly an influential device. It has helped make facial recognition technology more mainstream, more accepted in the eyes of consumers. As a result, other companies are adding facial recognition in their products. For example, Nvidia recently announced its Drive IX Platform will scan faces, checking to see if a driver is too sleepy to drive. Companies all over the world are harnessing this technology. Alibaba is using facial recognition as a key part of its AliPay software. 2018 is the year where you’ll start to see this technology in more and more spots, including places like banking apps. Home technology is built off voice recognition. It appears voice recognition is surging past touch screens in the battle for the home. Alexa is praised for its voice recognition, but it’s not perfect. For instance, Alexa has difficulty hearing you if it’s placed near the air conditioner. It also has trouble hearing people with accents. The future of home technology is based off voice recognition, so Amazon and other home tech companies are assaulting these glitches. Have you heard about Burger King’s latest PR stunt? They put out a commercial that used certain keywords to hijack Google Home. Anyone with Google Home (who played the commercial) was taken to the Wikipedia Page of Burger King, a page they actually edited to promote their brand. Google quickly altered their software so Burger King’s commercial wouldn’t activate Google Home anymore. It won’t be so easy to pull off these tricks in the future. On the whole, tech companies are working against accidental activation. Do you remember George Jetson? Even though he wasn’t rich, he had a robot named Rosie. This robot did many domestic chores around the house. People are fascinated by robots, and many companies are working to add robotics to the home. For instance, a California tech company is refining Kuri, a home security robot. This robot watches your home, and it can even charge by itself when it’s low on battery. Robotics is booming around the world. A Chinese company called Baidu is working on a robot called Little Fish. This is an amazing robot that can order your groceries, meals, and medicine. It also has a protective mechanism. Only adults who are recognized by the software can make an order. Does laundry need to be disrupted again? Last century the automatic washer and dryer changed the world. Hanging clothes on a clothesline went the way of the Dodo for millions. Yet, a key question remains. Will current technology upgrades make laundry easier, or will the new upgrades remain as novelties? Whirlpool is adding Alexa capabilities to its washer. These capabilities allow you to enable quiet mode and adjust temperatures with Alexa. As of now, these capabilities are limited. Look for more enhanced integrations in 2017 and beyond. Are you still looking through the peephole when someone rings the doorbell? Smart doorbells give you video and audio surveillance when someone rings your doorbell. If you have your smartphone with you, you don’t even have to be home. Look for a lower cost, making them more accessible to everyone. People want technological advances that save them money. Do you remember the problem with early solar tech? In the beginning, it wasn’t cost-effective, so the technology was slow to spread. Temperature detection promises to save people on their heating and air conditioning bills. How will this happen? On hot days, software systems will automatically close blinds. That means the air conditioner won’t have to work as hard. Allowing the sunlight to stream in when it’s colder means the heating system can reduce output. 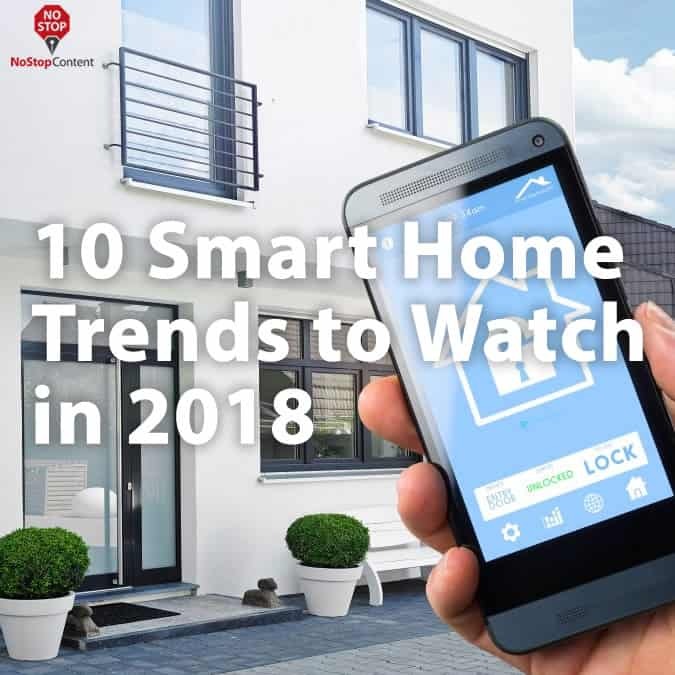 Refined automatic temperature detection, which will mix in standardized data with the preference of the family, is the future of home technology. Samsung (and other companies) are working hard to make smart refrigerators worth it. Is there value here? The camera in your fridge lets you see what’s in there without opening it. Also, you can assign expiration dates to items with the touchscreen. Yet, the cost of these refrigerators is often over $5,000. People like the features, but they want more features and a lower cost. Look for smart refrigerators to be pushed in this direction. There are a lot of home tech products out there. It’s hard to know what light switches, locks, smoke alarms, etc, are compatible with your smart home system. The answer may change what brands you buy. CNET’s new tool gives you an answer. Increased understanding and knowledge are the future for consumers. Arthur Clarke implied good technology is indistinguishable from magic. New smart home tech is impressive, even magical at times. Constant improvements are being made in this expanding field, and we’ll continue to keep our eye on these fascinating developments. 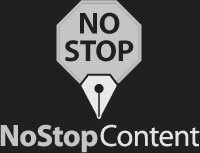 NoStop is my one-stop shop for new content! Every article they send back is a high-quality piece written along the SEO guidelines that I provided. A quick copy/paste for me onto our blog, and we’re on to the next article. Great team to work with, excellent communicators. Since we started working together we’ve regularly collaborated on 1 or 2 pieces per week. And we plan to keep on rolling and enjoying the excellent content and increased organic traffic.